Today I found out what the M’s stand for in “M&Ms”. 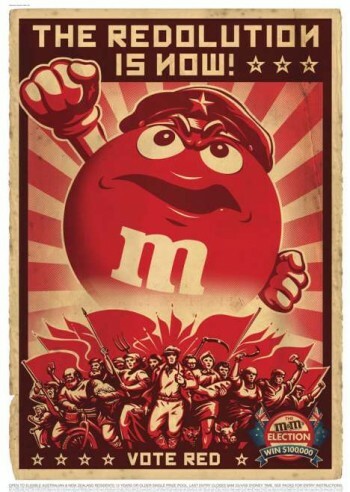 During WWII, production of M&Ms skyrocketed due to the fact that they were sold to the military and included as part of United States’ soldiers rations. The original M&M colors were: red, yellow, brown, green, and violet. M&Ms were served in cardboard tubes when they debuted. The “M” printed on the M&Ms was originally printed black. This was changed to white in 1954. William Murrie, father of Bruce Murrie, was originally hired by Milton Hershey in 1896 as a salesman. In his first week on the job, he managed to over sell the plant’s production capacity. This so impressed owner Milton Hershey, that he tabbed Murrie to be the future President of Hershey; this later happened in 1908, a position he held until retiring in 1947. When William Murrie first took over running Hershey, the annual sales of the company was $600,000. Upon his retirement in 1947, he had grown the company to now have a gross annual sale amount of 120 million dollars; which means, over the span of those 39 years he increased the annual sales rate an average of around 50% per year. In the 1920’s, Murrie tried to convince Hershey that they should produce a chocolate bar with peanuts. Hershey didn’t like the idea, but let him go ahead as long as the bar wasn’t under the Hershey brand name. And so, in 1925, the “Chocolate Sales Corporation”, a fictitious company Murrie came up with, debuted the “Mr. Goodbar”, which was wildly successful. Forrest Mars Sr. not only helped invent the M&M, but also famously invented the Mars bar, which was a “malted milkshake in a candy bar”; he also launched the Uncle Ben’s line of food product. At the time of his death at age 95 in 1999, Forrest Mars, Sr. had grown his father’s company to the point where he now had amassed a fortune for himself of over 4 billion dollars. At that time, he ranked 30th on the list of richest Americans, with his sons Forrest Jr and John ranking 29th and 31st. He left the company to his children who still exclusively own it today (it is not a publicly traded company).